Santa Fe may not be the largest LGBT city in the country, but being gay in Santa Fe is certainly not an issue. The city is quite welcoming—it’s called “the City Different” for a reason, after all. Many of those who live in Santa Fe describe themselves as being a little unusual, and the city is known for its arts and its unique culture. Its architecture draws many tourists from around the country every year, as does its many shopping districts and boutiques. 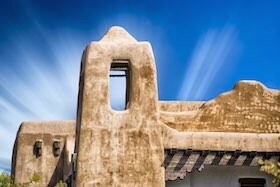 Many are making Santa Fe their permanent home, especially those who are retiring. According to a study done by the University of California, Los Angeles, New Mexico’s LGBT population has been expanding since 2000. Santa Fe itself has seen many new LGBT individuals and couples move to the city, and gay and lesbian real estate agents have found themselves quite busy. They’re selling more than residential properties, too. A number of businesses in the city are owned by members of the LGBT community, with more looking to start boutiques and restaurants. Santa Fe, like most large cities, does host a great Pride festival every year. It’s held in the Railyard, one of the city’s neighborhoods that, while not necessarily a gay ghetto, is home to many LGBT individuals and families. There are a number of different areas other than the Railyard where LGBT individuals gather. Each has its own unique style. Downtown Santa Fe is full of historic homes that embody the traditional architecture of the city. You won’t find too many new condos or houses here. In fact, there really isn’t a large amount of residential properties in the downtown area. Over on the Historic East Side, however, you’ll find plenty of homes to consider purchasing. There are even some older adobe houses and a number of historic properties hidden away from the main streets. You’ll find houses with beautiful courtyards, portals, vigas, and other unique features that you’ll only find in Santa Fe-style homes. Then there’s the South Capitol. This area includes a mixture of different homes. You’ll find small bungalows next to traditional homes next to Victorian manor houses. It’s eclectic, but many love it because it’s so different. A lot of these homes have been restored, so even though they look older, they’re in great shape. It’s a great place to live if you want a neighborhood that has very distinct houses. Living in Ohio may not mean living in the LGBT capital of the world, but there are some amazing cities here. Many of the more open parts of Ohio are very welcoming to LGBT individuals, especially if you move to the right neighborhoods. 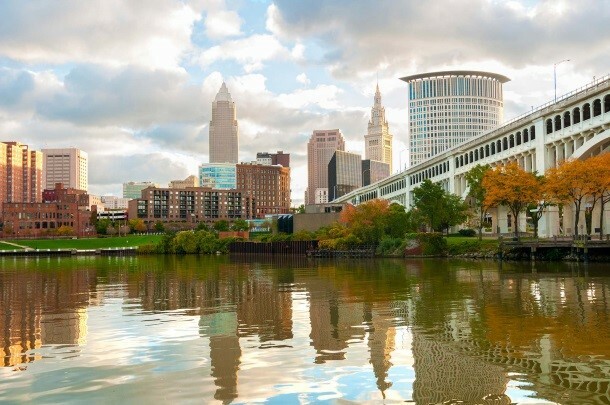 If you’re thinking about working with a gay or lesbian real estate agent to move to Ohio, here are a few of the places you might think about. Cleveland has several suburbs and neighborhoods that are great for LGBT individuals and families. Tremont, for example, is considered Cleveland’s art district, so it attracts many open and welcoming individuals. The homes here are wonderful older houses, and many have been renovated over the years. There are also some great restaurants. Lakewood is also in the Cleveland area. It sits on the west side of the city and is known for its major business district. The city’s population is only a little over 50,000, so it’s smaller than Cleveland but located near enough to commute. In the 90s, Lakewood was home to Ohio’s largest per capita LGBT population. Detroit Shoreway is the third Cleveland area city on the list. Its theater culture has exploded recently, plus the fact that Highway 90 runs through the city makes it an ideal home for those who want to commute to Cleveland but not live there. If you’re looking at Toledo, you want to look at Ottawa Hills. This neighborhood is the most LGBT out of the area’s various LGBT neighborhoods. The population of Ottawa Hills is mostly older people, but it is known for its outstanding school district. Cincinnati’s Northside district is known for its LGBT culture. It’s where the Cincinnati Pride Parade is held every year. The area is home to a number of LGBT families, and the average age of a Northside resident is mid-30s. That shows that this area is a place where many have settled in for the long run. Dayton’s Grafton Hill is the city’s LGBT community, even though it only takes up about 18 blocks of the city. If you’re looking for a historic home, this is the place. Many of the houses are a part of the Historic Registry, and even if you don’t live in one of these houses, you’ll be in awe of how amazing they look. Again, this is a neighborhood with an older population that has settled down and is, for the most part, content on where they live. If you are transitioning, you may find yourself suddenly feeling unwelcome in the city and, in fact, the entire state you’ve called your home for years. If that’s the case, it may be time to find a gay or lesbian real estate agent and begin looking at moving to a state that provides more rights and protections than what you have now. Here are some of the best states to live in if you’re transgender. Chicago is an amazing city featuring many great places to work and things to see and do. Both the city and Illinois as a whole feature strong protections for transgender people, plus it’s one of the few states where trans employees have protections regarding health insurance and health care. These protections extend across the entire state. Likewise, Colorado also has a number of protections for its transgender citizens, including laws that require health insurance companies to provide transgender patients with coverage. The state has also passed a number of laws protecting trans rights, including a bill that included transgender citizens in the state’s anti-discrimination laws. These laws make it illegal for anyone to discriminate against a transgender person in the areas of employment, public accommodations, and housing. Washington also passed a number of anti-discrimination laws that protect transgender people, but the state has gone one step further by passing a law that puts the issue of bathroom and locker room use to rest. It states that all people may use the bathroom that corresponds to their gender identity. While many states are fighting over similar legislation, that battle is over and done with in Washington. Washington’s neighboring state is another great place for transgender people to live. There’s a law protecting LGBT youth from being forced into conversion therapy, plus the healthcare system provides coverage for gender reassignment surgery. Protective employment laws and regulations outlining a strict anti-bullying policy are also in effect in the state. It shouldn’t be any surprise that the home state of Bernie Sanders is one of the leading states for LGBT rights. For transgender people, the state has a comprehensive list of legal protections that cover just about anything. 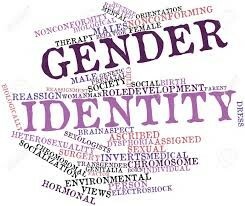 It’s actually very easy for a transgender person to change their birth certificate to reflect their current gender, and that change is shown as if it was there from the beginning—it’s not an amended certificate. Any single-stall restroom in a state building must also be gender neutral.